This past weekend the clouds and rain finally moved on past the Portland metro area and the sun shined through. 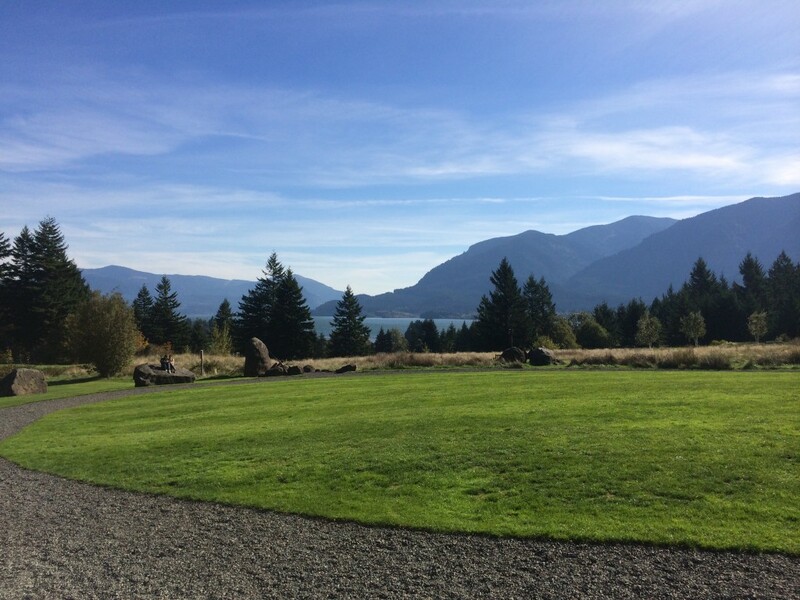 This pleasant change in weather made for a nice hour drive out through the Columbia River Gorge to our final destination of Skamania Lodge just outside of Stevenson, Washington. 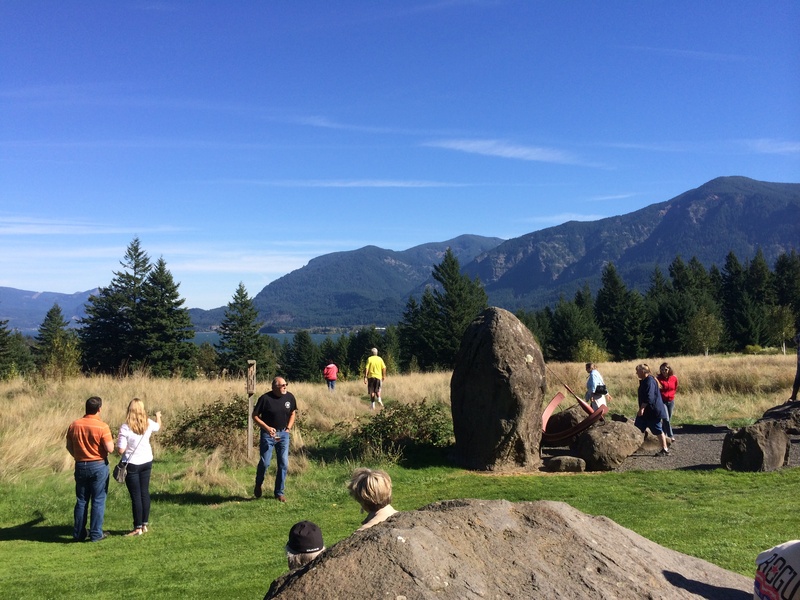 Skamania Lodge was host to their 5th Annual Celebration of Beer held on their Cascade Lawn overlooking the mighty Columbia River. 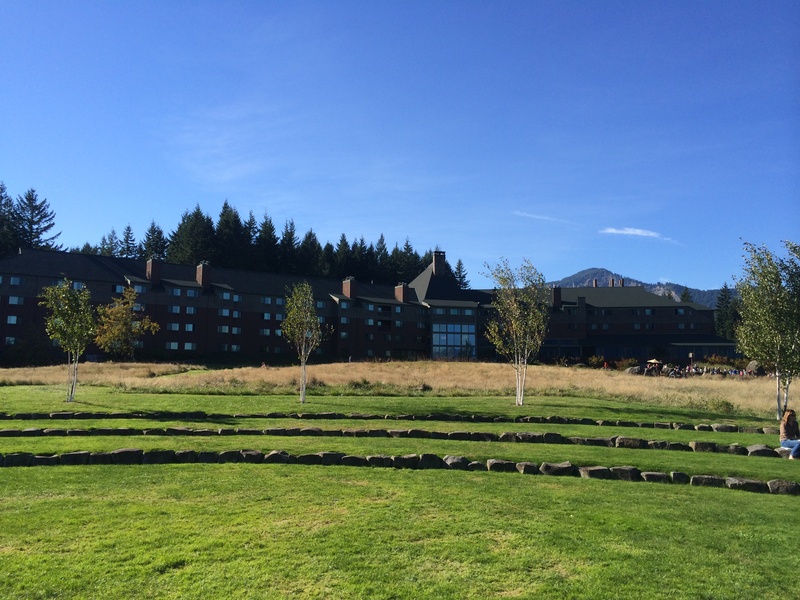 Once we arrived at the lodge we checked into our comfortable room that offered gorgeous views of the Columbia River Gorge. From there we made our way out to the festival with mug and beer tickets in hand. Not sure where to start we strolled through the Celebration of Beer setup to get a better look at what this afternoon of beer tasting will offer. The setup offered a lot of space to roam once you have a beer in your hand. And roaming is what you’ll want to when you have these views in sight. There were no fences or ropes keeping patrons confined to a small area. You were free to walk the grounds with a beer in hand. There was a gas fire pit going behind were the musicians were performing were one could sit in a relaxing Adirondack chair. Pouring at this years event from Washington were Amnesia Brewing, Backwoods Brewing, Dicks Brewing, Mill City Brew Works, Mt. Tabor Brewing and Walking Man Brewing. 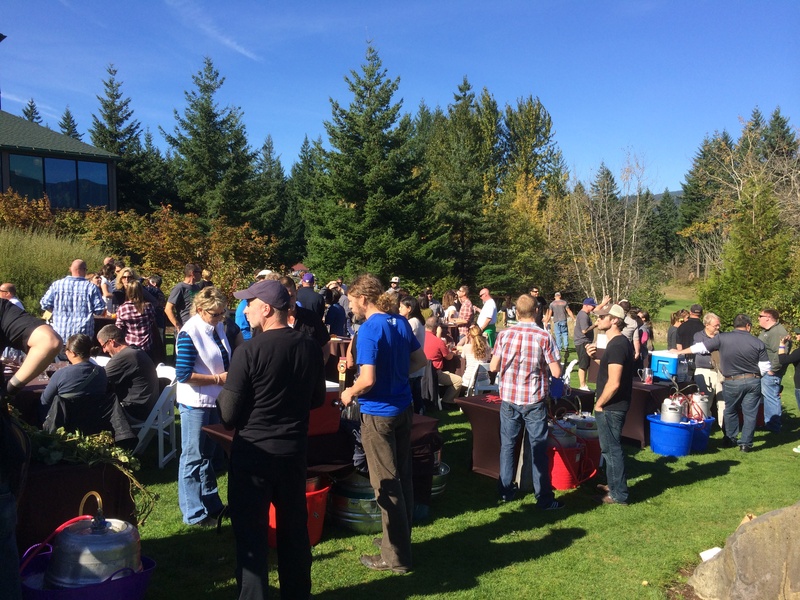 The Oregon breweries in attendance were Big Horse Brewpub, Deschutes Brewing, Double Mountain Brewery, Full Sail Brewing, Lompoc Brewing and Terminal Gravity Brewing. Most of the breweries were pouring 2 or 3 different beers and a few even changed out their kegs half way through to offer more varieties for the festival attendees. 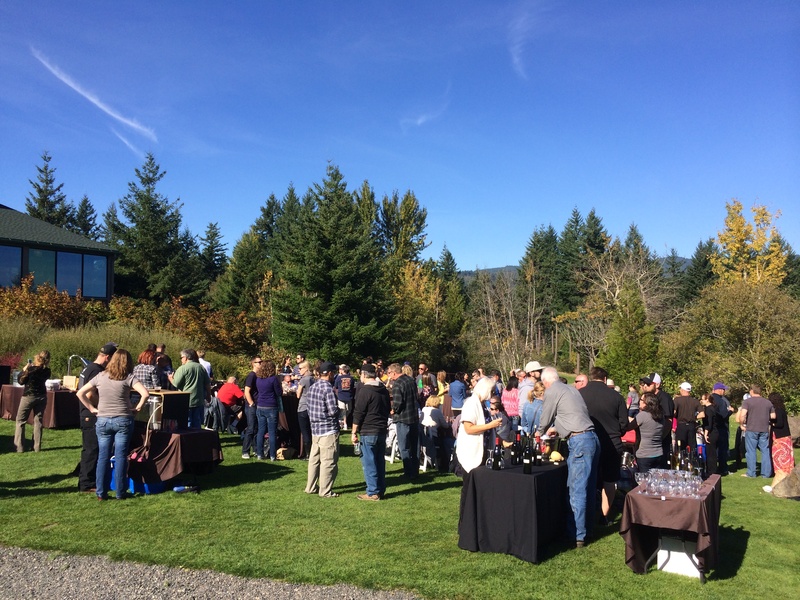 Beyond the beer there was one winery pouring their vino, a small food buffet offering, live music and sweeping views of the Columbia River Gorge. It was nice to finally try some beers from some of the newer breweries in the region that haven’t made it past my lips quite yet. Mill City Brew Works from Camas, WA had a very nice Alpha Ale IPA with a great hop presence in both the aromatics and the taste. Their Log Splitter Imperial IPA was a bit on the sweet side with too much malt that hid the hops that were there. Some of the other highlights of the festival included Terminal Gravity pouring their Festivale, Double Mountain offering their Killer Green Fresh Hop IPA (though I prefer the Killer Red), Deshutes’ Chasin’ Freshies, and Big Horse’s Dirk Diggler’s Dunkel. One of the three beers that Lompoc Brewing was pouring throughout the afternoon was their very well balanced beer from their Rock & Roll themed IPA series, Rockaway IRA. This India Red Ale was a recipe designed by Irena Bierzynski and named after Oregon’s seaside town and the song made famous by the Ramones. As with any beer festival the entry and beer sample price comes into play. Skamania Lodge’s event offered a very nice clear glass stein and 5 drink tickets for $25. You may be thinking that’s not the greatest deal out there but the sample pours were quite generous. 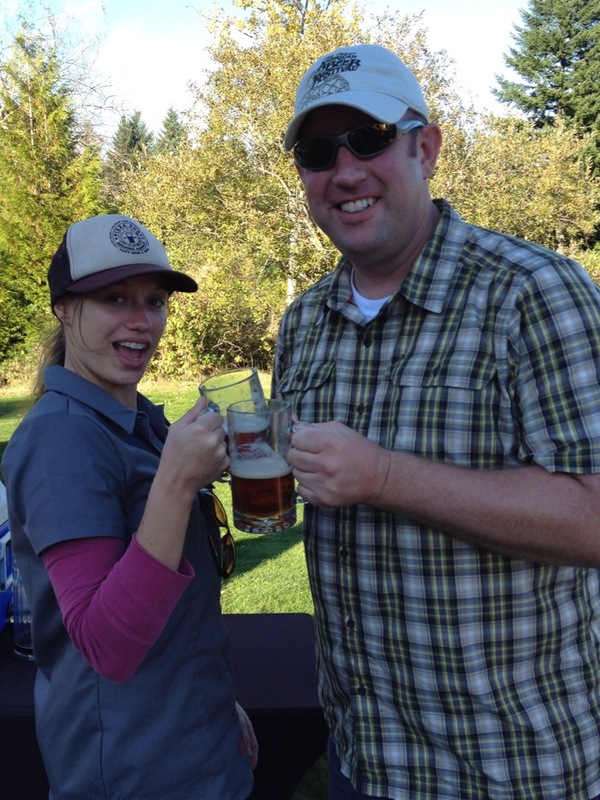 Unlike most fests, there was no measured pour line and most sample pours were in the 6-8 ounce range. This along with additional beer tickets for only $1 each made it a better deal than one would first imagine. 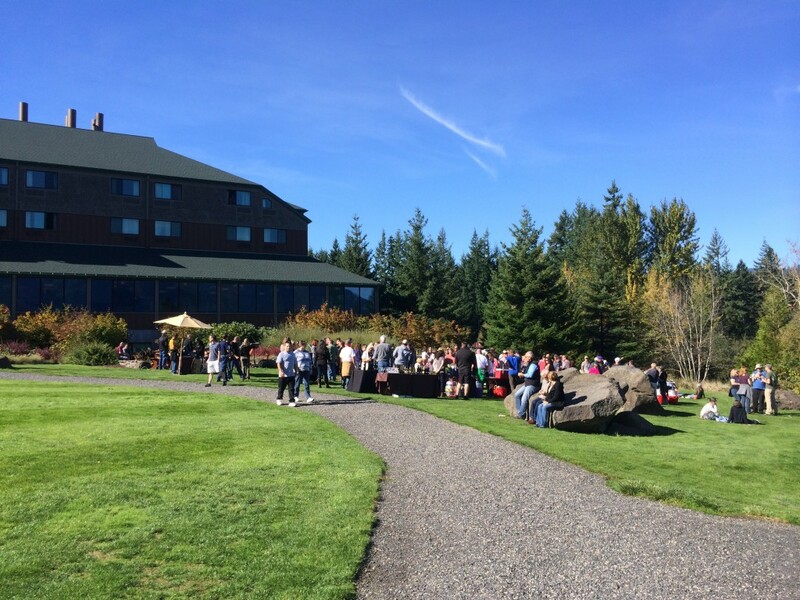 And if you’re traveling from afar Skamania Lodge offered some great deals on rooms that included admission to the Celebration of Beer. 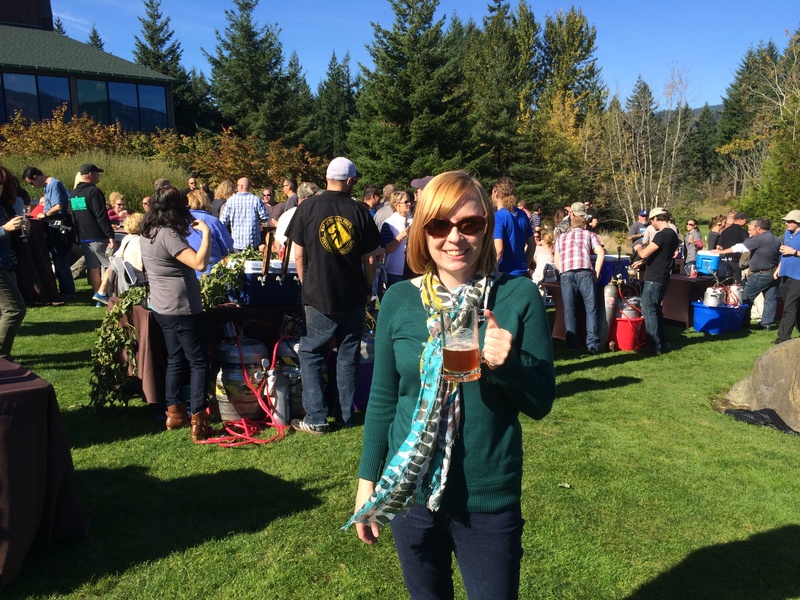 I look forward to attending Skamania Lodge’s Celebration of Beer next year. Fun times were had!